You'll be £13.99 closer to your next £10.00 credit when you purchase The Venlo Incident. What's this? Order within the next 6 hours, 38 minutes to get your order processed the next working day! 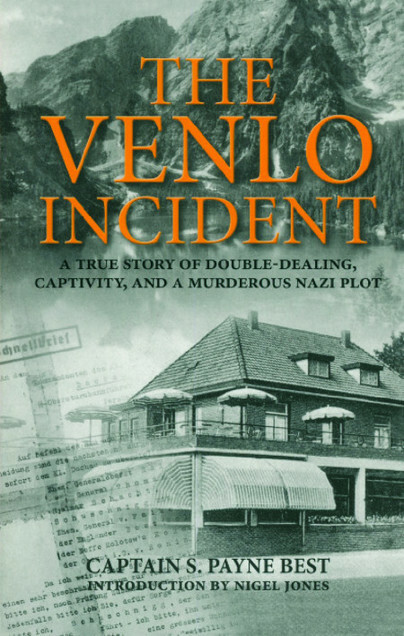 In November 1939, the Nazis used the so-called Venlo Incident as a pretext for invading the Netherlands. Following orders from Himmler, two British intelligence officers, Sigismund Payne Best and Richard Stevens, were captured from the Café Backus in the town of Venlo. Best had been trying to contact German officers plotting against Hitler. The Netherlands had been an ideal ground for operations, because of its proximity to Germany and the fact that Dutch Intelligence was badly funded. When Best met the three agents – including Walter Schellenberg – he was carrying with him a list of British agents who were working in Europe. When he arrived at the café, which was just over the Dutch border, he realised he had walked into a trap. A Dutch intelligence officer who accompanied them, Dirk Klop, was fatally wounded. Best and Stevens were taken into Germany. After their Berlin interrogation and torture they were taken to the notorious Sachsenhausen concentration camp. Hitler used the incident – together with the Elser bomb plot – as an excuse for war with the Netherlands, claiming their involvement with Britain violated their neutrality. As Nigel Jones explains, the incident was crucial in making the British suspicious of dealings with anti-Hitler resistance. A fascinating story that would make for a fantastic film if it wasn't such a calamitous British disaster.